Video (2:21): Tango in progress vienna T.I.P.-TV aka Renata Falkner has published this video with Ariadna & Greta bailan en Misterio, (2009). 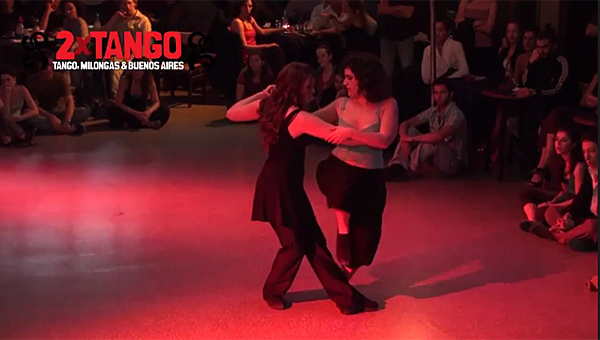 Ariadna Naveira and Greta Hekier – Queer Tango (2009). Video (3:35): Ariadna Naveira and Greta Hekier performed “La Racha” by Carlos Disarli as a Queer Tango at Villa Malcom, October 2009.